A Single User License (SUL) allows you to register this product on a maximum of two machines per licensed user, such as a laptop and desktop machine. However, you may not run the software simultaneously on both the primary and secondary computers. Think ahead and save presets of the layers constituting the basis of your compositions so that future-you can create them all in a couple clicks. 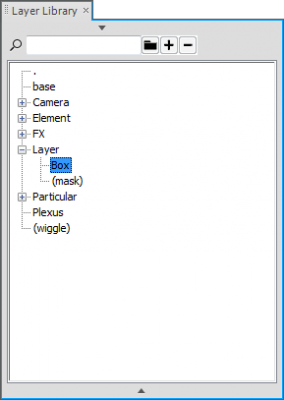 Layer Library allows you to save presets of any group of layers and organize these presets in folders. Store a copy of particular properties: to create a preset that can be applied to another layer without modifying other properties, select the properties that should be saved and click the + button. Store a full copy of your layers: if you've tweaked any imaginable property of the layer, simply save a copy of all its properties by pressing Shift when saving the preset. Preset names containing accents or special characters are unfortunately not supported for the moment. You can either let Layer Library create the layers or have it apply presets to existing layers. If you load an item while selecting a layer with the same name as one of the original layers, the preset will be applied to this layer. Press Alt when loading an item to tell Layer Library to use duplicates of the selected layer and apply each of them different parts of the preset. Layer Library will scale the preset to the dimensions of the target composition. To keep the dimensions of the original layers, press Shift when loading a preset. Layer or property presets can be saved in a given version of the CS and opened in another one provided both versions support the properties saved. For example, After Effects CS4 will not be able to create lights with their original type, and versions below CS6 will not be able to assign Ray-Tracer materials to Solids. A single library folder can be shared between different versions of After Effects. 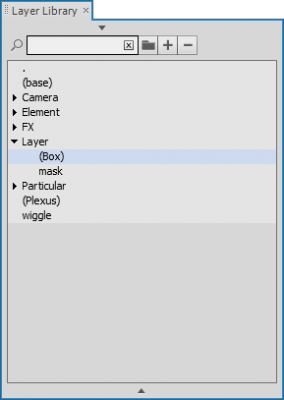 Reload the library to see changes made by another instance of Layer Library. Both versions must also have the same versions of the effects/plugins used in the preset. The presets do not depend on the language of the version of After Effects used to save or load the presets. However expressions should be created by pressing Alt when pick-whipping properties to ensure they will work in any language..
Forty killer texture loops for After Effects. Think huge! These are 4K (3840 x 2160) files, made by hand in Photoshop and After Effects. Available as a Ray Dynamic Texture-ready AEP, or as QuickTime Movies or PNG Sequences if you like. Perfect for texturing your comps, shapes or type. Warning: these are so super bad, you might jump back and kiss yourself. 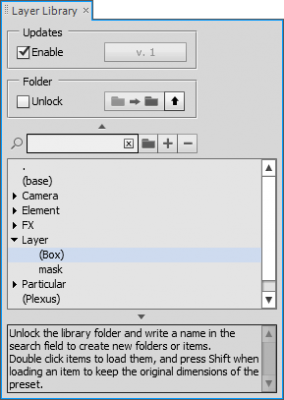 Lock or unlock all non-selected layers or masks with one click. Apply a 3D bevel to any layer and have it react to comp lights. Have you ever wanted to make your own action movie full of special effects? Now you can! Even better, you can use it to create stunning motion graphics and amaze your clients! 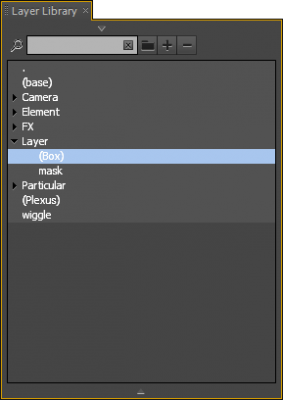 Makes integrating plugins with AE layers...well...elementary. Create complex 3D animations, shadows and reflections for any 3D plugin, and much more.